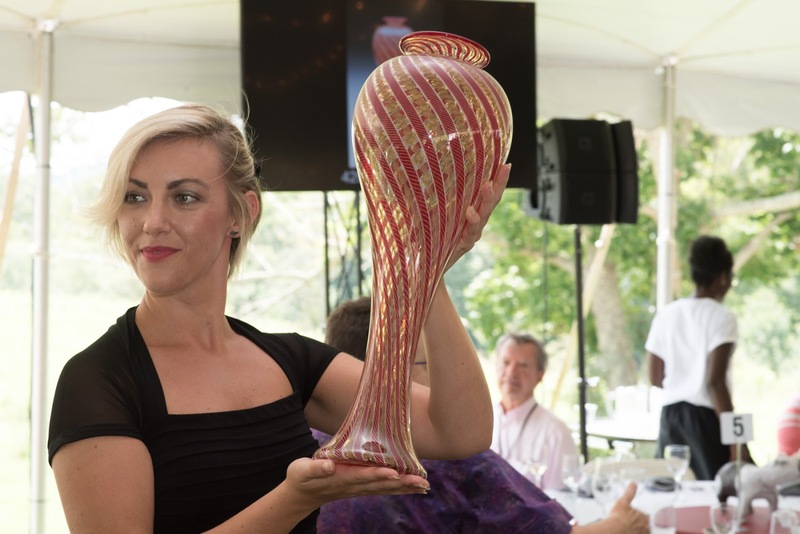 The Penland School of Crafts 32nd Annual Benefit Auction will take place on August 11 and 12 on the historic Penland campus, north of Asheville. The gala weekend event includes live and silent auctions, food, receptions at the Penland Gallery and the studios of Penland’s resident artists, and displays of work donated by Penland’s current and former instructors, resident artists, and core fellows. Absentee bidding is available. All proceeds benefit the programs of Penland School. The featured artwork this year, by Vivian Beer, is titled Anchored Candy #7. It is a metal bench featuring Beer’s characteristic swooping lines and gleaming automotive finishes. The piece is a prime example of the innovative design work and superb craftsmanship that made Vivian the winner of last year’s HGTV show, Ellen’s Design Challenge with EllenDeGeneres. Also part of the auction are works by glass artists Dean Allison, Alex Gabriel Bernstein, and Kenny Pieper, furniture makers Annie Evelyn and Brian Boggs, potter Warren MacKenzie, ceramic sculptor Eric Knoche, photographers Mercedes Jelinek and James Henkel, and jewelers Tara Locklear and Ashley Buchanan. Along with these works are more than 200 pieces in books, clay, drawing, glass, jewelry, metals, photography, printmaking, textiles, wood, and mixed media. The table centerpieces, which will be sold during the weekend, are handwoven runners made by six different North Carolina textile artists in honor of Penland’s early history as a weaving school. During the weekend the school will honor Cynthia Bringle and Edwina Bringle as the 2017 Penland School of Crafts Outstanding Artist Educators. These twin sisters have been closely involved with the school since the late 1960s. 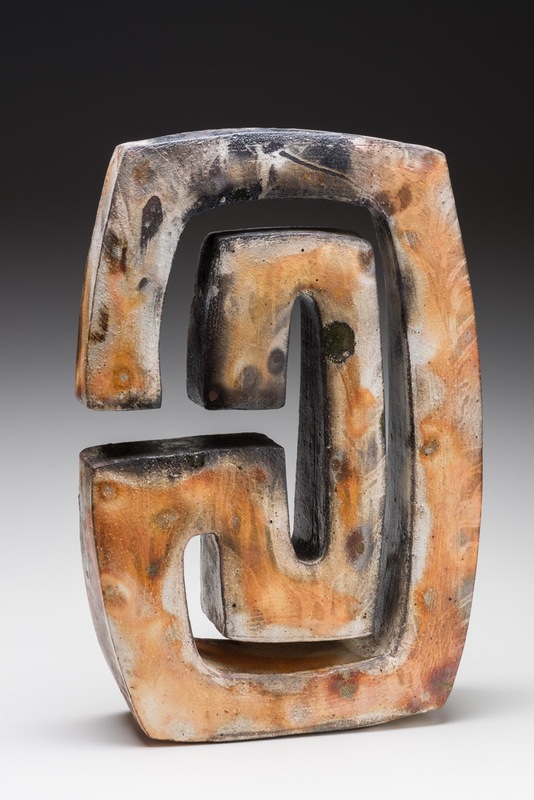 Cynthia Bringle is a potter and a renowned teacher of ceramics workshops. Edwina Bringle is a weaver, a workshop teacher, and professor emerita from University of North Carolina-Charlotte, where she taught for twenty-four years. Both of them have shown their work widely and they have received many honors, including the North Carolina Award for Fine Art for Cynthia. The auction begins on Friday, August 12 with a preview of the auction work, a tribute to Cynthia and Edwina Bringle, a silent auction, dinner, and a live auction. Saturday’s festivities will start at 9:00 AM with coffee and pastries and an open house at the studios of Penland’s resident artists. This will be followed by a silent auction, luncheon, and a live auction. The weekend finishes up with a reception at the Penland Gallery. The auctioneer is Matthew Haley of Bonham’s auction house in London. All events take place on the Penland School campus in Mitchell County, North Carolina, near Spruce Pine, 52 miles north of Asheville. Weekend tickets are $385, Friday tickets are $225, and Saturday tickets are $275. Absentee bidding is available for a $25 fee, which includes a color catalog. Reservations are required, and the event often sells out. For more information or to make reservations, call 828-765-2359, ext. 1204, send e-mail to auction@penland.org, or follow the auction link at www.penland.org, where you will find a complete schedule, registration information, and a PDF of the auction catalog.